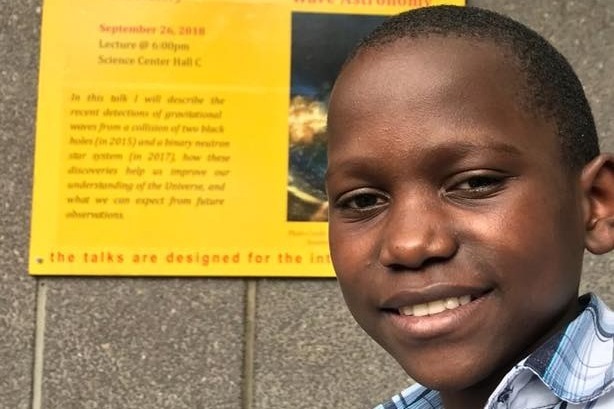 Ibra Kamulegeya is a 12 year old boy from Mayira village in southwestern Uganda. 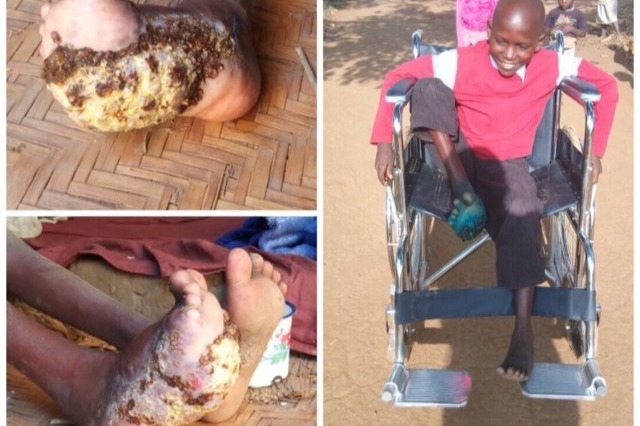 Since the age of 8 he has been battling a rare foot disease which has crippled him to this day. Ibra dropped out of school in Grade 5 because he could no longer walk. 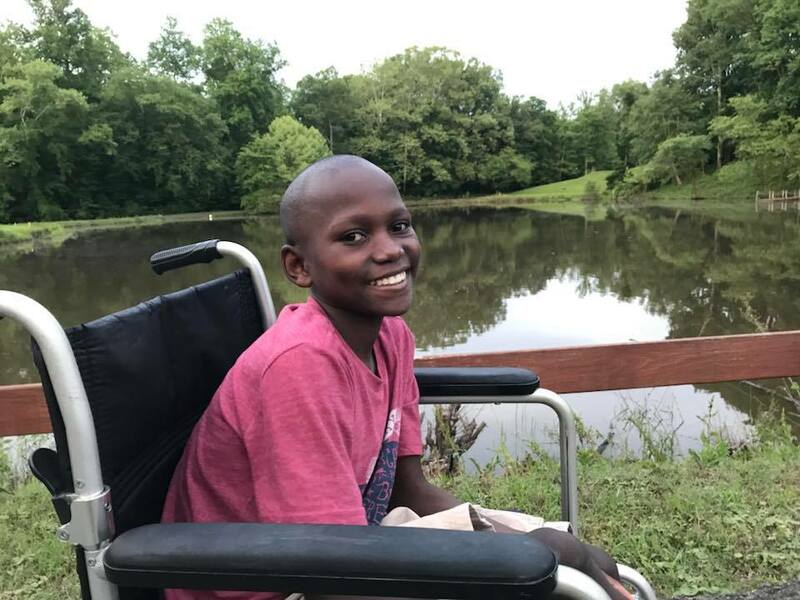 Ibra's only chance to save his foot and walk again is to fly to Richmond, VA to receive treatment currently not available in Uganda. 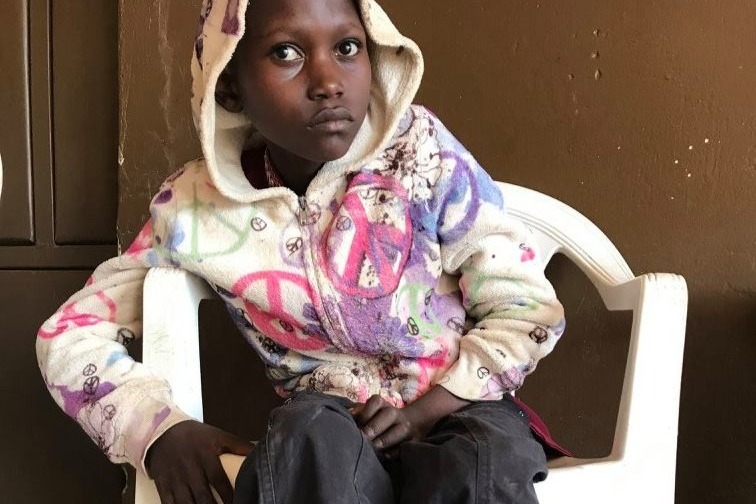 A Doctor at MCV at Virginia Commonwealth University collaborating with another Doctor at St. Mary's Hospital in Richmond has generously offered to run tests and try treatment regimens not currently available in Uganda. Ibra's appointment is for the second week of April 2018. 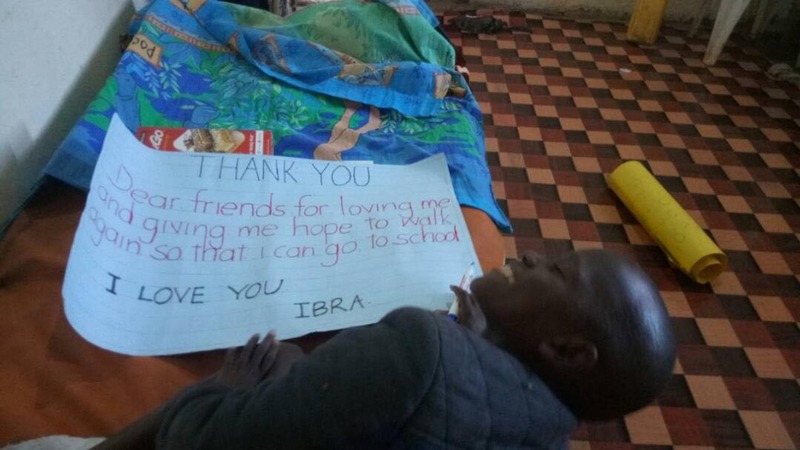 We have only four weeks to fly Ibra to Richmond and get this life-altering care. The disease started as a simple itching on the foot. Then started swelling. 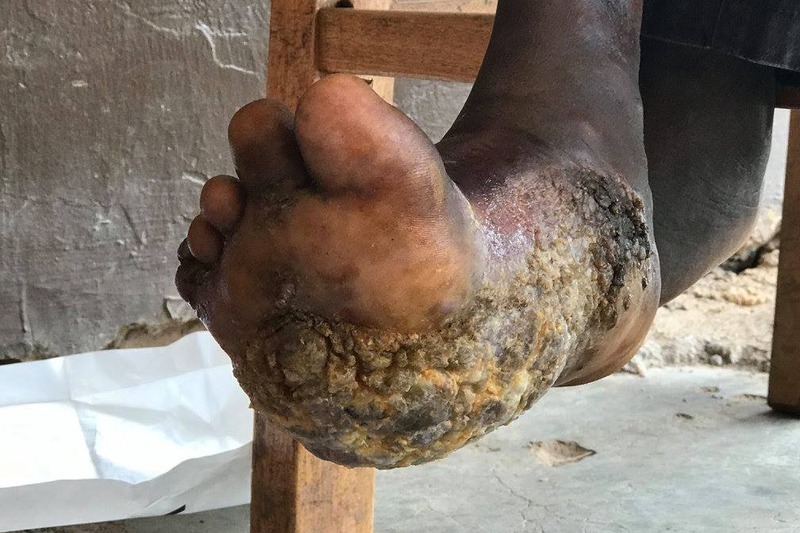 Gradually the foot began to decay, he has seen many doctors in Uganda to no avail. Several tests and biopsies have been conducted, including HIV and cancer tests, but there has not been a proper diagnosis at this time. 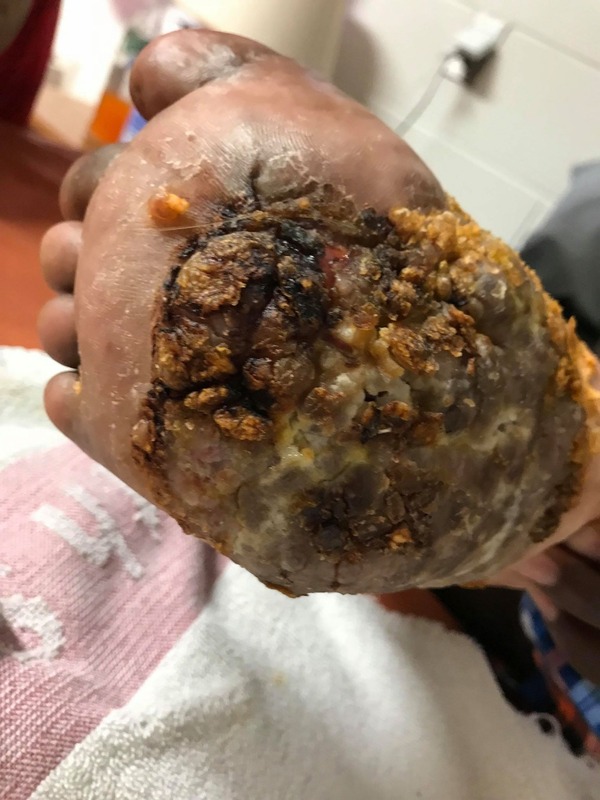 His family was told he needs to have his foot amputated as it was thought it was a cancer. Ibra’s health is deteriorating day by day. He can no longer stand on his own and now the disease seems to be spreading to the other foot . The family is very poor and they have sold everything including their property to pay his hospital bills. 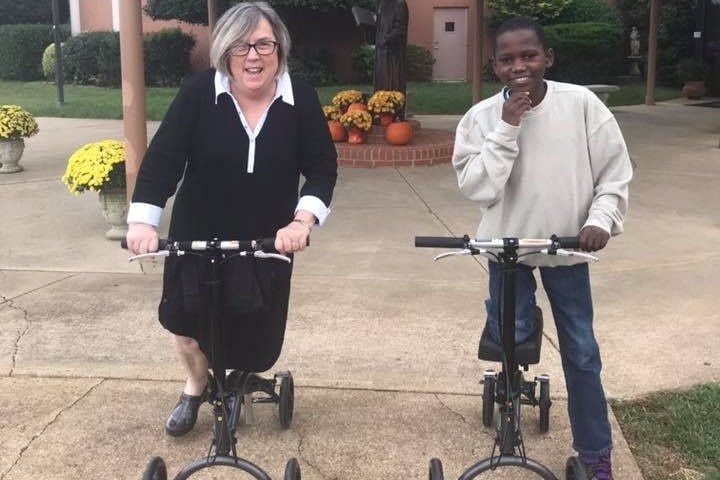 $1,000 Food and travel expenses while in the U.S.
Uganda Rural Fund a non-profit based in Richmond Virginia through Father John Mary Lugemwa is sponsoring Ibra, please visit www.ugandaruralfund.org for more information on URF, donations can also be made through URF website and all gifts are tax deductible. Thank you for your generosity. Any contribution will be greatly appreciated. Our hope is to have Ibra arrive in Richmond the first week of April. We will continue to keep you updated with photos and messages from Ibra. Thank you so much for your consideration. Anything will help. Please share this worthy cause with your friends as well. I hope you are doing well. 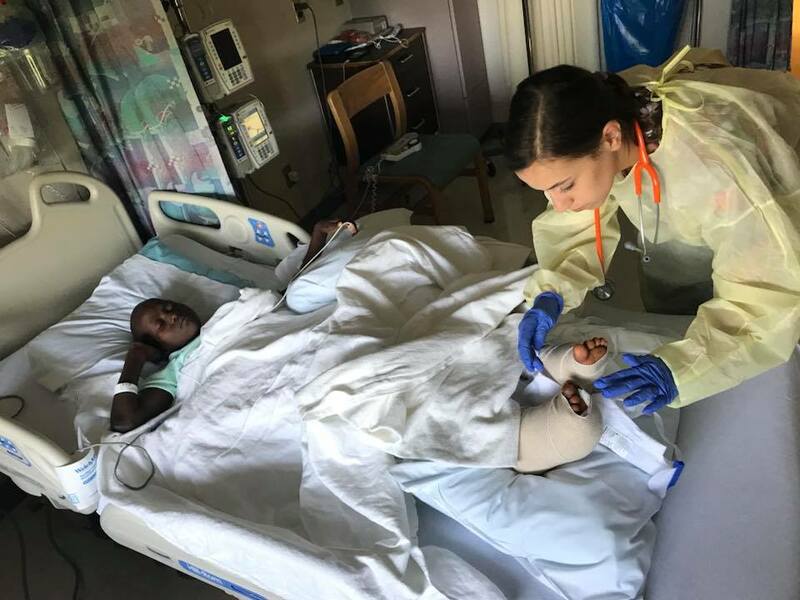 After a long wait, we finally had MCV at Virginia Commonwealth University in Richmond sign off on treating Ibra as a charity case. We are very grateful for their generosity and to the many friends who helped make the connections. Some of you may already know, but we had not yet made public Ibra's diagnosis. 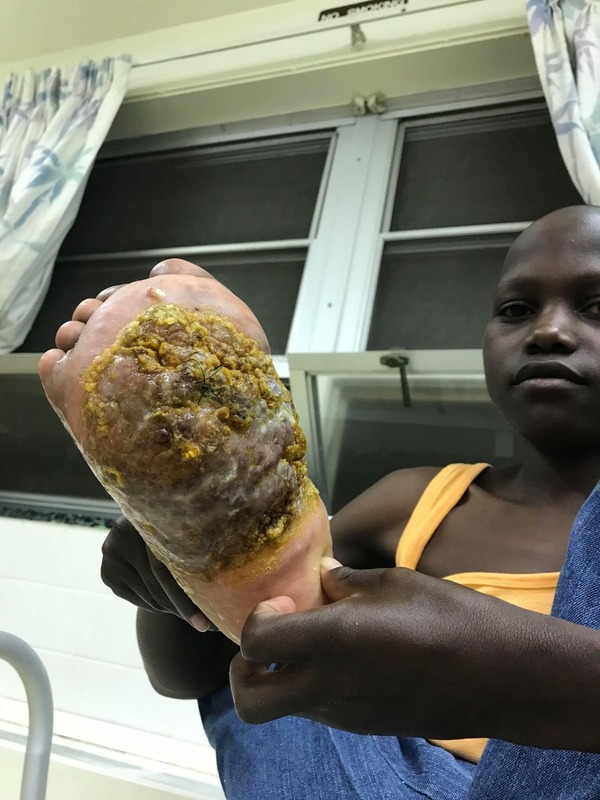 He has a rare type of cancer called Kaposi Sarcoma, the non-HIV strand. Our search for doctors familiar with this type led us to physicians at Texas Children's Hospital who have agreed to collaborate with MCV on a treatment plan they has been successful on some patients before. 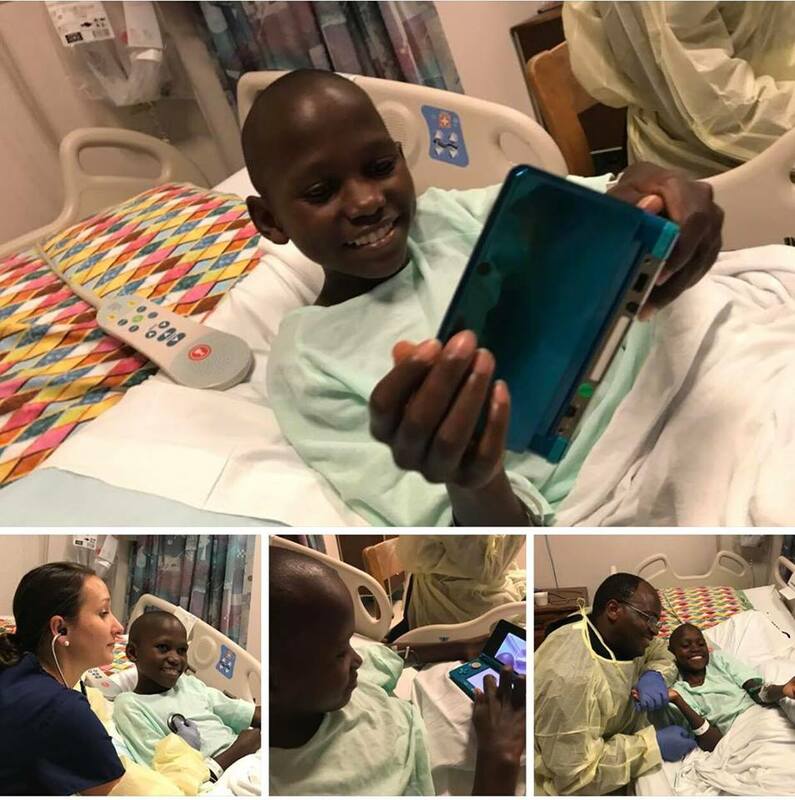 Ibra had his first appointment at the MCV's Children's Pavilion on Sept 19 with infectious disease specialist Dr. Lavoie and oncologist Dr. Austin. However, they first want to treat Ibra's latent TB for two months before beginning chemo which will go for 6 months. The concern is that since chemo compromises the immune system, so if not treated, the latent TB may become active. St. Mary's Hospital is continuing to help by providing the two TB meds. He is doing great and with Hellen, his caretaker/guardian, have been enjoying outings and excursions with friends around Richmond as well as some long-distance trips: Maryland, North Carolina, Florida, Ohio, Pennsylvania, DC, New Jersey, New York, Massachusetts (Harvard & MIT tour), and many stops along the way. He has put on some weight and growing each day. Ibra has a tutor who teaches him English and reading, and his command of Englis is improving gradually. Thanks so much for your prayers and generous support. 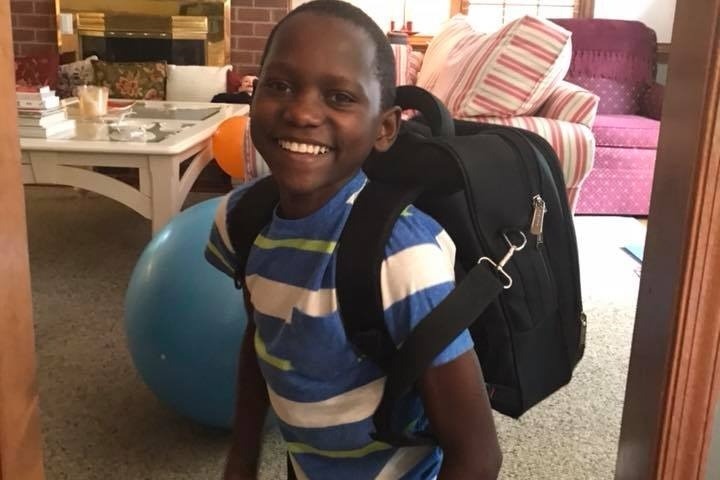 This boy is smiling because you have restored hope for healing and for a better life. May God bless you abundantly. Attached are some pictures from his happy moments. Ibra's first procedure went well and spent a week in the hospital. The Doctor from St. Mary's hospital took some biopsies and cultures and we are expecting results this Friday. An infectious disease doctor from MCV is handling the testing portion of the case. They started him on some meds to see how the foot reacts and if it reduce the swelling. We are seeing some slight improvement. Ibra is good spirits and having a great time hanging out with many friends in Richmond. Thanks everyone for prayers. We shall keep you updated. Dear friends, Ibra arrived in Richmond on Sunday, May 20. He is at the hospital right now - had x-rays, MRI, and blood work. He is scheduled for a procedure tomorrow, Thursday at 11:15am. Dr. Sharps will be doing debriding on the bottom of Ibra's foot so they can get proper biopsies done. Please continue to pray that all goes well. THANK you so much for your care for Ibra. Uganda Rural Fund USA, Inc.